Come join us on track at Kalamazoo Speedway because it’s your turn to experience the thrill of the Rusty Wallace Racing Experience!! 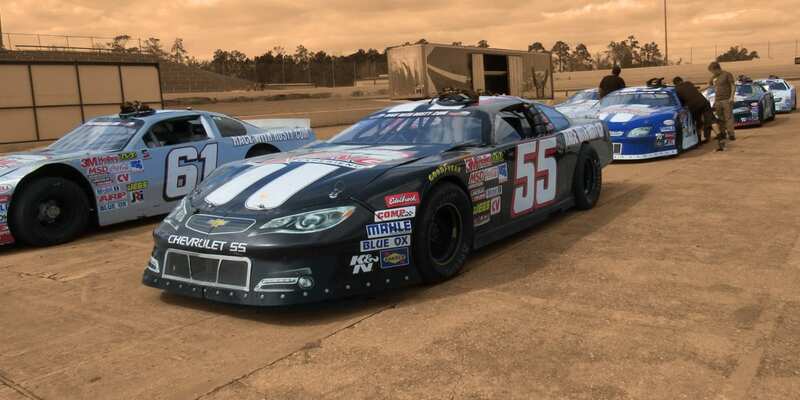 Choose your Kalamazoo Speedway Driving Experience or Ride Along Experience to begin booking. If you’re giving as a gift or are unsure about a date, you can purchase a gift voucher and you or the recipient will have 90 days to return to the website or call 855-227-8789 and book a date. Kalamazoo Speedway’s claim to fame is being the fastest 3/8 mile paved track in the world! 2016 was a FAST year for them, as “12 time” Andy Bozell destroyed the World Record with a lap of 9.465 seconds, at a speed of over 142 mph average! In 2015, Mike Schewchuk knocked down the World Record with a lap of 9.924 seconds! Randy Sweet, and Curt Spalding have all shared with history making laps! Kalamazoo Speedway is beginning the 68th consecutive year of operations. 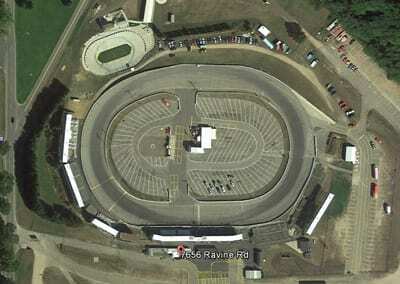 They have been a NASCAR sanctioned track for 28 years. Kalamazoo Speedway races FRIDAY nights and features the NASCAR Whelen All-American Series Outlaw Late Models!! We send out email promotions for individual tracks as well as nationwide. If you would to be included for future promotions, please enter your email below. You will receive any email promotions for Kalamazoo Speedway as well as Nationwide promotions. You can opt out at anytime. If you would like to receive specific promotions for any other track, please visit that track’s page and submit your email for that track.